I did want to add this Spanish-language calendar. Only the tear-off version, so far, but I will get to the CD case sized ones as soon as I can. The hard work is done, a Spanish speaker has deemed them acceptable. so perhaps a few people will find them useful. Size-wise, the tear off sheets are 2.5 wide by 2 inches high. I will mention what I told Milli when we were to-ing and fro-ing about them – I am aware that in Spanish, the month and day words/abbreviations are not capitalized, but it is a peculiarity of the FONT where you see an upper-case letter used and not a choice by me to capitalize the word! Do the usual, cut along the faint grey lines then stack in order and apply a thin smear of glue to the top (or if you prefer, lower) edges, as I’ve shown before. When dry, you can use the tear-off stack for many different uses. Expect the CD set hopefully before the new year! 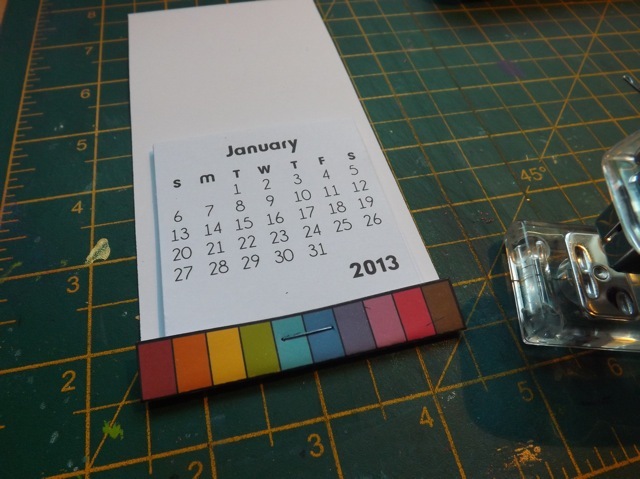 Categories: calendars, downloads, printables | Tags: calendars, printables, Spanish | Permalink. 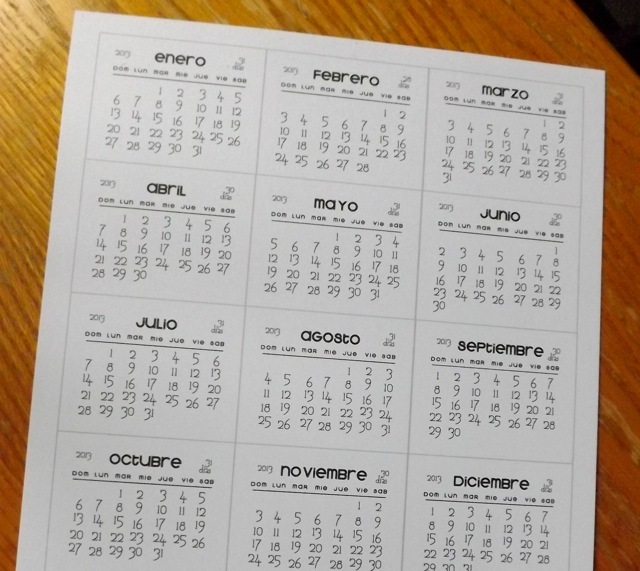 One little problem, the calendar in Spanish starts with lunes not domingo. We keep our fin de semana together. Hurrah! Thank-you I hope to make some of these over Christmas ready to send to Ecuador in the new year.